Jayne and Jim chose the very popular 07/07/07 to tie the not. What a wonderful couple. Very laid back and fun! And Jayne was just glowing all day. Any time she smiled or laughed I had to grab a shot because she just exuded happiness! Nip Tuck - look great in your photos without surgery! Okay, so I'm not a plastic surgeon - but I can nip and tuck your photos to make you look fabulous!!! I'm attending a class on July 22nd that's going to give me some Photoshop skills I know you will appreciate! In this workshop, we're going to learn to tighten those soft parts, remove double chins, the works. I'm going to offer one free nip and tuck photo to my clients at no charge. As a rule, all the images I post and deliver to you on your CD will be color corrected. But don't forget, I can do much much more. Inlcuded in your images, I will choose 30-40 images that I love and artistically edit those to make them pop. But if you wish, you may choose photos you want touched up, artistically edited, or nipped and tucked! Contact me for more information!!!! Hello Brides and Grooms, past and present! Welcome to my blog. I have joined the other bloggers of the world to bring you information, updates, and of course more wedding photos! First I want to share a link to a site created by some of the worlds top photographers. 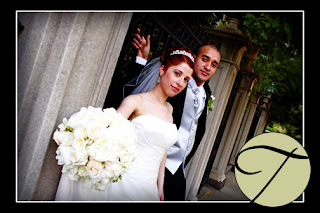 This website gives great advice for brides and grooms looking for a photographer. It contains tips on finding the right photographer for you, as well as what you should expect from your photographer. This is just the start. Please check back here often! Enjoy!